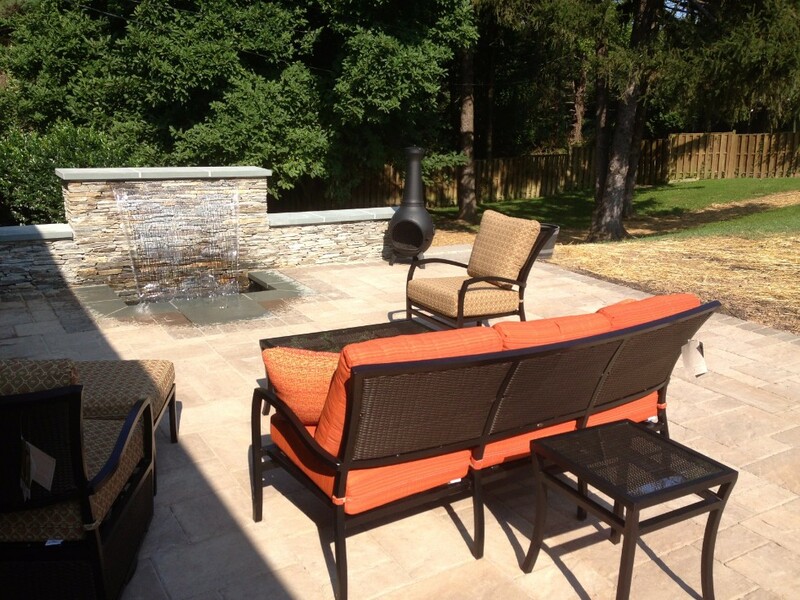 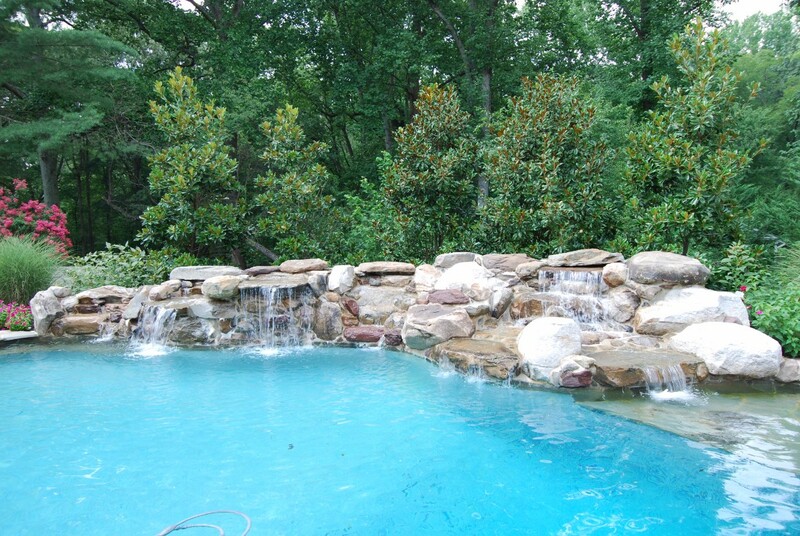 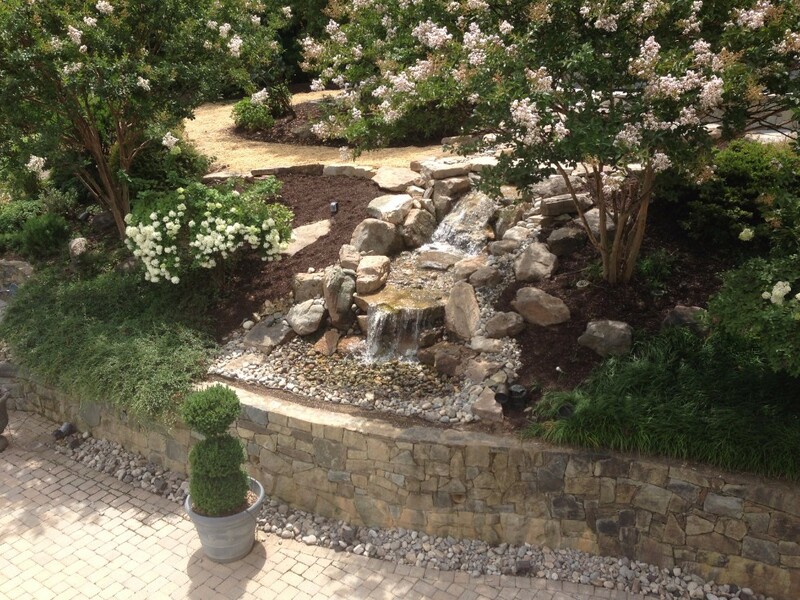 A waterfall around your pool area or pond will transform your backyard into a paradise getaway. 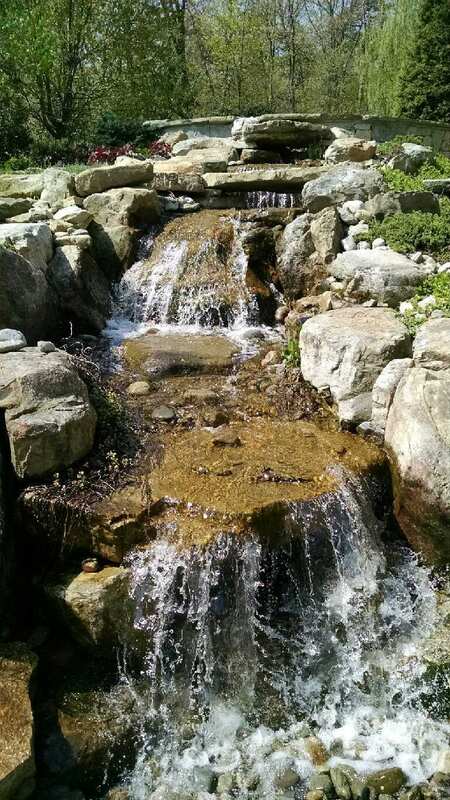 The gorgeous look and the soothing sounds of landscape waterfalls will transport you, your family and your guests to your own relaxing retreat every time you go outside. 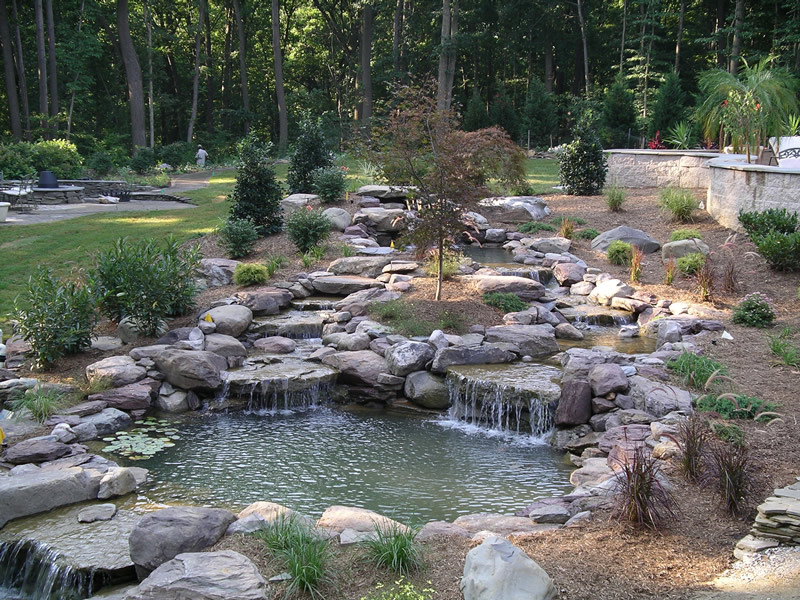 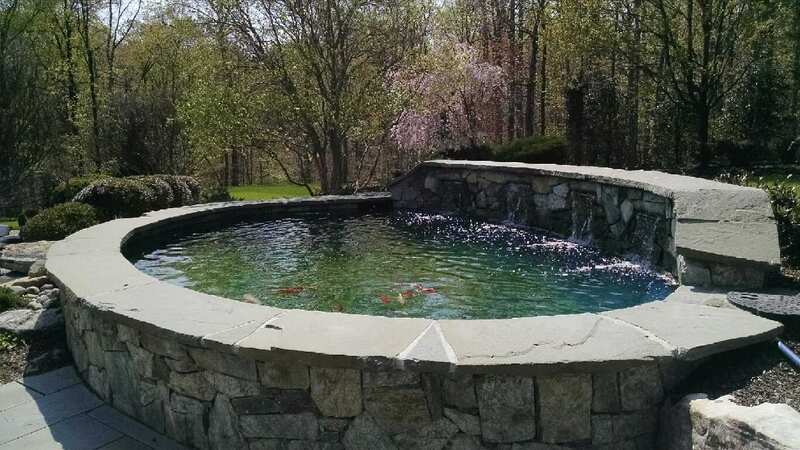 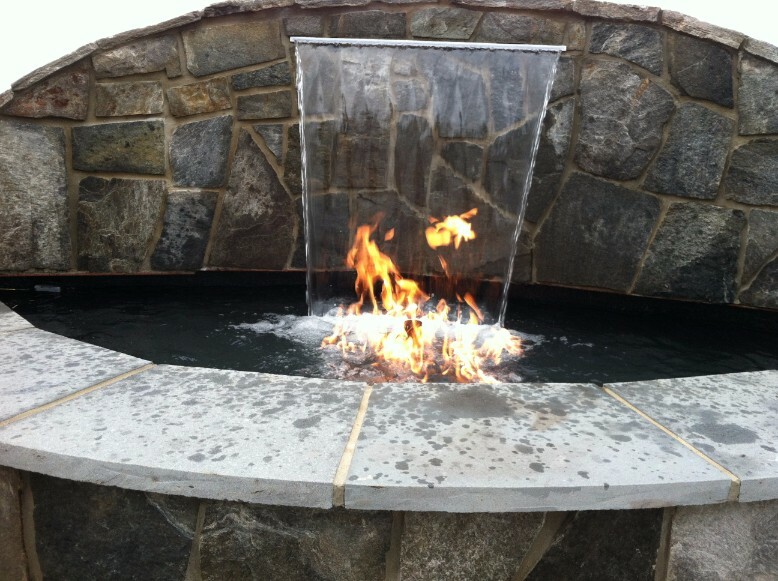 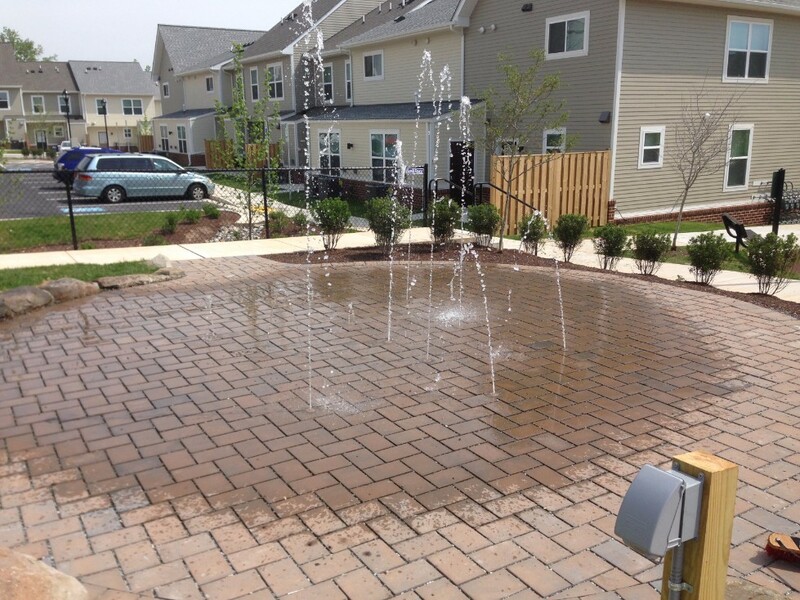 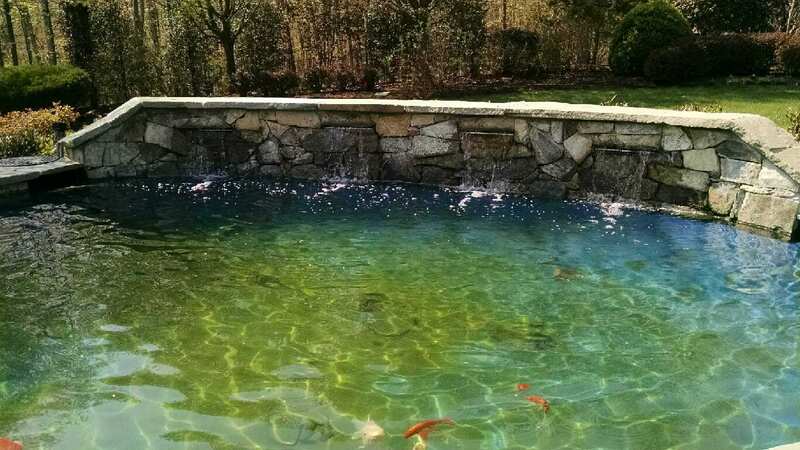 From small, modest structures gently falling into a pond and filling the backyard with peaceful sounds to tall rises splashing into a swimming pool, VistaPro will design and build any types of landscape waterfalls in and around Annapolis, Maryland. 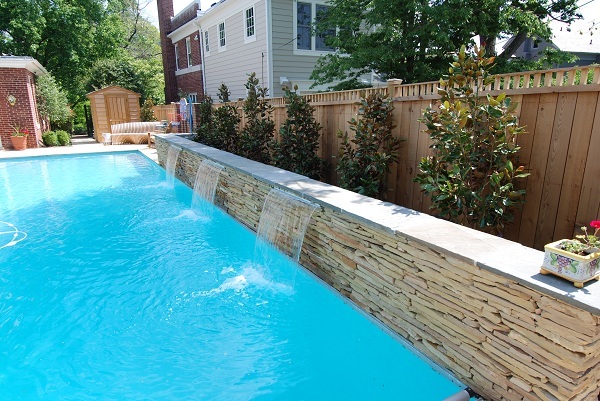 A waterfall flowing into your pool not only creates a stunning design element, but it also aerates the pool, reduces the formation of algae and prevents many pests from affecting the water. 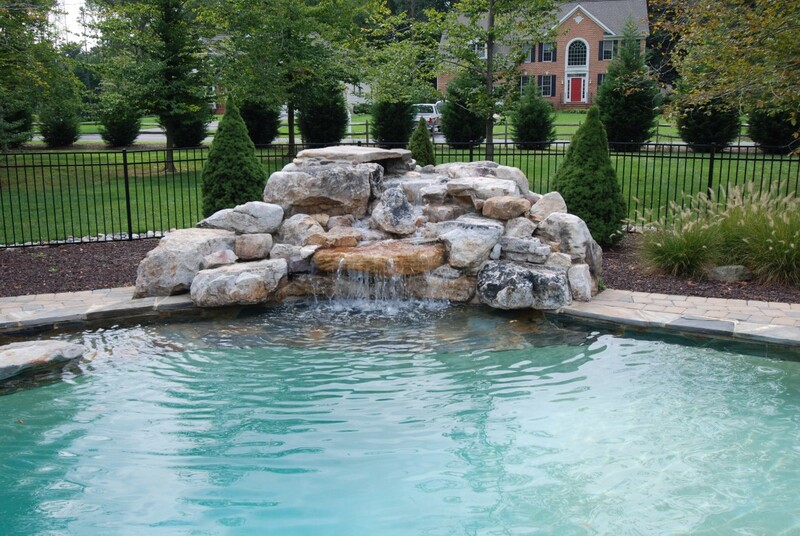 A pool waterfall is also a fun and fascinating design element, giving a place for children to play and drawing guests’ attention. 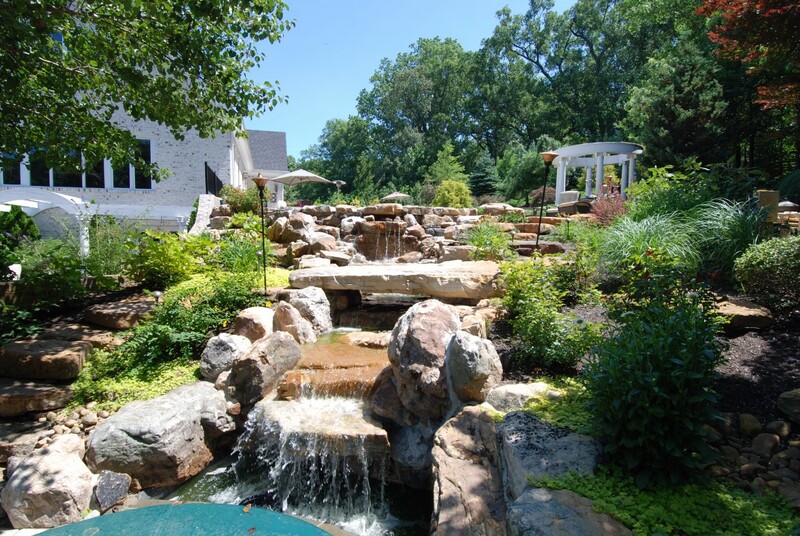 For homeowners frequently entertain outside, a pool or pond waterfall creates a striking focal point guests envy. 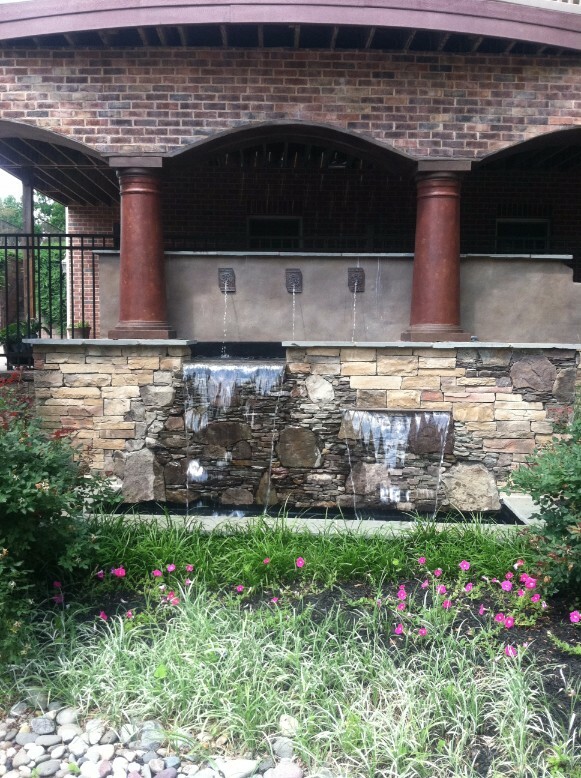 Surround your waterfall with tall flowers or falling ivy to create the look of a natural spring or surround with rock structures to match your deck or patio. 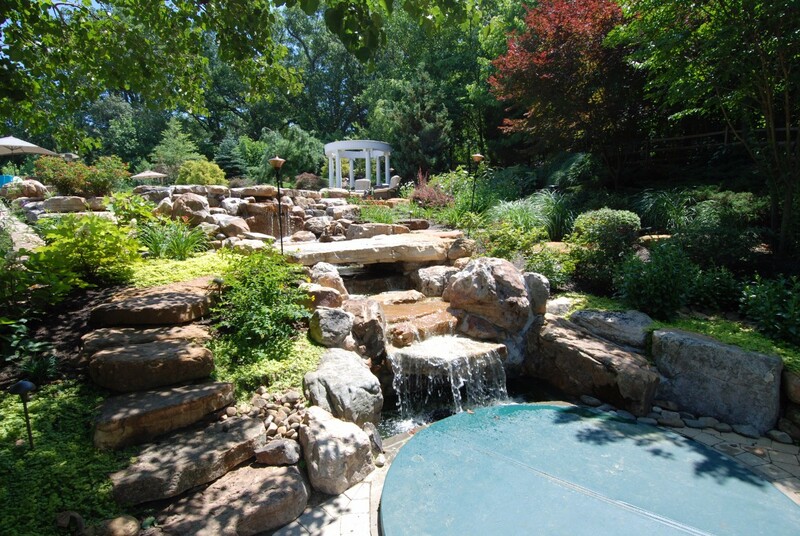 Turn your backyard into your own piece of paradise with the addition of beautiful landscape waterfalls. 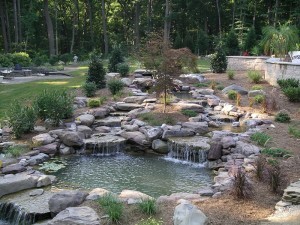 Call for more information and start designing yours today.